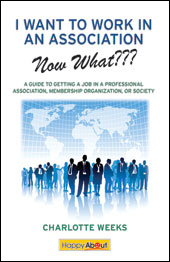 Targeting International Association Jobs | Find meaning at work and advance in your career. ← Happy Fourth of July – Let’s Celebrate Associations in America! 1) Build a network in your target country: Not only will this help you uncover more opportunities (the way any type of networking does), it’ll help you learn about the country’s professional culture. This will be a huge help when it comes to the interview portion. Join LinkedIn groups focused on your industry and the company you want to work for. Or, see if you can become a joint member of two branches of your professional association – one where you live now and one where you hope to land. 2) Research requirements of each specific country: I’ve done a few resumes for clients in Switzerland, and the format (CV or resume), differs by region. If it’s a multi-national company, however, it may be accepted practice to align with what’s accepted in the country of the organization’s headquarters. Talking to someone who lives and works in your target country is ideal – however, some online research will give you a good idea of the country’s general hiring practices. 3) Don’t forget the logistics: Even if you’re the perfect fit for a company, it won’t matter if you’re not authorized to work in the country. Find out what is necessary – a visa, sponsorship, etc. – and the steps to take to ensure you are able to work in the country of your choosing. At the end of the day, securing a new job abroad comes down to thorough research. When searching for information on your function and industry, your target country needs to be right up there. This entry was posted in Association Career, Career Management, International Associations, Job Opportunities, Job Search, Networking and tagged American Society of Association Executives, ASAE, association career, association industry, job search, Professional association. Bookmark the permalink.